Who's the man behind the art, the legend, and the cosmic, comet-painted curtain? Put up a knee, and I'll spin you a tale -- THE tale. Jack Kirby was born Jacob Kurtzberg on August 28th, 1917. Growing up in New York, Jacob taught himself how to draw by tracing comic books and editorial illustrations. Entering the still-budding comic industry in the 1930s, Jacob began drawing comics under various pseudonyms, including Jack Curtis, before deciding on Jack Kirby. In 1940, Jack moved on to comic book and newspaper publisher Fox Features Syndicate where he began exploring the unlimited potential of comic book narrative in the strip Blue Beetle. While working on the strip, Jack began collaborating with cartoonist and Fox editor Joe Simon. Simon was genuinely smitten by Kirby’s work, and the two collaborated on several freelance projects. After the duo left Fox, they collaborated on the premier issue of Fawcett Comics’ Captain Marvel Adventures (March 1941). After this significant contribution, they were hired by pulp magazine publisher Martin Goodman, owner of Timely Comics. And yes, Timely was the progenitor of a little publisher you may have heard of: Marvel Comics. 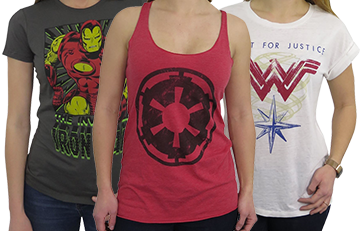 During the duo’s tenure at Timely, they created Captain America. Was it a success? Obviously. The first issue (released in 1941) sold out in days, and the second issue demanded a print-run of over one-million copies. 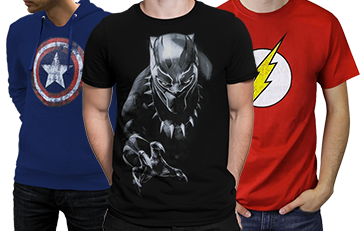 Due to Captain America’s success, the pair became an established creative force in the industry -- Joe became an editor at Timely, and Jack accepted the position of Art Director. As Captain America’s popularity increased, Joe sought better opportunities for the pair – he felt Goodman wasn’t paying them a fair share of the profits. So, Joe reached out to National Comics Publications, the progenitor of DC Comics, and secured positions for both himself and Jack. While at National – and after National’s owner Jack Liebowitz told them to “just do what you want” – the pair revamped the “Sandman” feature in Action Comics, created the hero Manhunter, and the “Boy Commandos” feature. 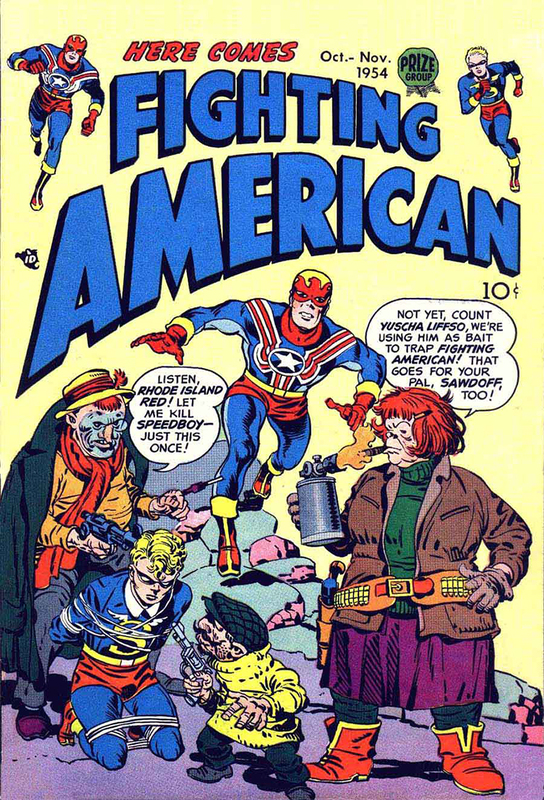 They also scored a hit with the precocious gang of adventurous kids known as the Newsboy Legion -- they featured prominently in Star Spangled Comics. Fearing Kirby and Simon would be drafted, Liebowitz asked the pair to create a year’s worth of material to cover their absence – they hired writers, inkers, letterer, and colorists to -- in layman’s terms -- get ‘er done. Jack was drafted into the army on June 7th, 1943. After basic training, he landed on Omaha Beach in Normandy on August 23rd, 1944 – this was two-and-a-half months after D-Day. Jack’s duties? Utilizing his artistic abilities, Jack was assigned to scout ahead and sketch the environs, hostile or otherwise. Simon secured work for both himself and Jack at Harvey Comics. Throughout the 1950s, the duo created the kid-gang adventure comics Boy Explorers Comics and Boys’ Ranch. They also freelanced for Hillman Periodicals and Crestwood Publications. 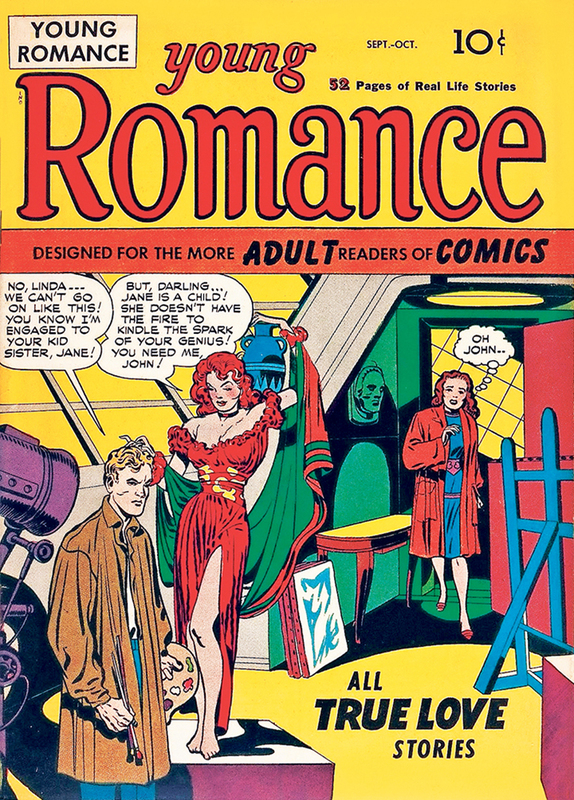 The pair found success with romance comics. Simon was inspired by the romance-confession magazine True Story and wanted to create similar stores through the comic book medium. Grabbing Jack, the pair created a first-issue mock-up of Young Romance and presented it to Crestwood’s editors. The editors were impressed and agreed to publish the series, which was a very wise choice – the title became the pair’s biggest hit in years, selling 92% of its initial print run. Because of the title’s success, Crestwood tripled the print run for the third issue, changed the release schedule from bimonthly to monthly, and created an equally successful spinoff series, Young Love –according to Simon, the two series sold a combined two-million copies per month. Timely Comics, now Atlas Comics – the direct precursor to Marvel Comics – decided to relaunch the Captain America comic series in 1954. Embittered by Atlas’ decision, Jack and Joe decided to create their own – and superior – version of Captain America: say hello to the FIGHTING AMERICAN!!! Initially, the patriotic hero was a staunch anti-Communist, but after the dramatically accusatory Senator Joseph McCarthy was no longer an appreciated representative of the people, the comic became more of a parody superhero series. Jack and Joe finally created their very own company -- Mainline Publications. Throughout 1954 and 1955, the company published 4 titles: The Western Bullseye: Western Scout, the war comic Foxhole, the romance comic In Love, and the crime comic Police Trap. Yes, things were looking up for the duo, but the constant struggles placed a strain on their creative relationship. After dissolving the business, Joe pursued a career in advertising, and Jack continued to freelance – the split was amicable and the two parted as friends. In the late 1950s, after freelancing for both National (DC) and Atlas (Marvel), Jack remained at the newly minted Marvel comics where he produced his first wave of renowned comics alongside writer/editor Stan Lee. With Lee, Jack’s creative genius was finally unleashed, leading to the pair’s first and incredibly successful collaboration – Fantastic Four. 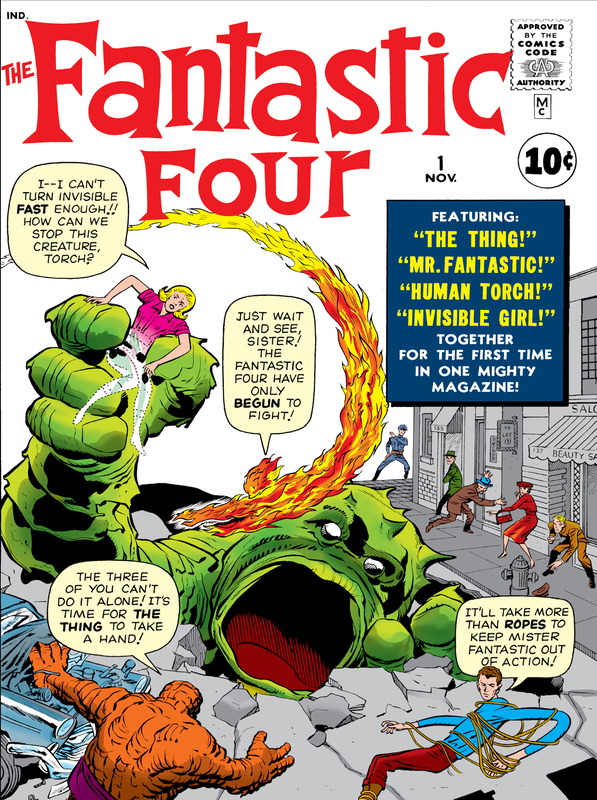 Debuting in 1961, Fantastic Four revolutionized the industry with its surprising naturalism set against a cosmic, mind-bending backdrop riding the consciousness-expanding zeitgeist enabled by America’s youth culture in the 1960s. WHEW! For nearly a decade, Kirby’s art and drawing philosophy were to be studied and emulated by new artists – it was Marvel’s official house style that influenced the entire comic book industry. Along with the Fantastic Four, Lee and Kirby created Marvel’s most enduring characters, including (but certainly not limited to) the X-Men, Thor, the Silver Surfer, Galactus, the Inhumans, Doctor Doom, Black Panther, the Hulk, and Iron Man (designed with Don Heck). They also “assembled” (**nudge-nudge**) quite a few of these creations in the superhero team title The Avengers, and revived a few characters from the 1940s, including Captain America and the Sub Mariner. 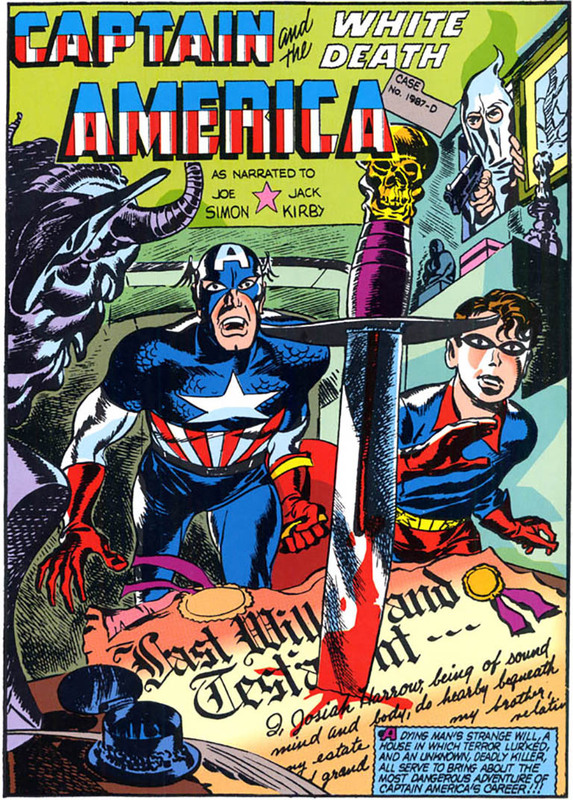 In 1968 and 1969, Joe Simon and Marvel were immersed in litigation regarding the ownership rights to Captain America. Unfortunately, Kirby signed a contract with Marvel’s publisher Martin Goodman before accepting employment. Because of this contract, Jack relinquished his rights to the character, and he was unable to side with Joe during litigation. During this time, Jack became disillusioned with Marvel for several reasons, including Lee’s prominence in the media, a lack of creative control, and Marvel’s apparent failure to properly credit Jack for his contributions and creations. In 1970, after failing to sign a contract prohibiting a creator’s ability to seek legal recompense, Jack left Marvel comics and accepted a position with rival company DC Comics. To Hell with Marvel! Welcome to DC! In 1970, Jack signed a three-year contract with DC. During his tenure, Kirby created the renowned “Fourth World Saga” which introduced readers to powerful beings -- the New Gods -- who resided on wondrous, warring worlds. The malevolent Anti-Life seeker Darkseid ruled the hellish planet Apokolips and waged an endless cycle of war against the inhabitants of New Genesis, a highly evolved paradise ruled by the mostly magnanimous Highfather. Under the “Fourth World” umbrella, Jack created a series of interconnected titles including New Gods, Mister Miracle, The Forever People, and Superman’s Pal Jimmy Olsen. The latter was a preexisting title with an inconsistent creative team -- Jack sought to stabilize the book and perhaps save a few careers. And no, he didn’t stop there. Kirby also created OMAC, Kamandi, The Demon, and Kobra. Partnering with Simon for one final time, the pair worked on a newer iteration of the Sandman. Unfortunately, Jack’s golden age at DC would come to an end. DC’s policies simply weren’t in sync with his creative impulses, and he was often forced to work on characters and series he personally disliked. And it certainly didn’t help that there were quite a few jealous creators fearing job loss during Kirby’s successful, successive series. It was time again for a change – technically, a return. Welcome (Back) to Marvel, Jack! In 1975, Stan Lee announced Kirby’s return during a Fantastic Four panel at “Marvelcon ’75.” And in 1976, the move was official. Kirby’s first project? To write and draw the monthly Captain America series. Later, he launched The Eternals, a series chronicling the adventures of godlike humanoids whose superpowers and immortality were derived from genetic rejiggering performed by the Celestials – a race of super-massive, ageless space gods wielding inconceivable power and intelligence. Jack also adapted and expanded upon Stanley Kubrick’s’ classic film 2001: A Space Odyssey – a series that introduced another original Kirby creation, Machine Man. Alas, the reasons why Kirby left Marvel in the first place reared their ugly heads, and seeking separation, Kirby accepted a job at animation house Hanna-Barbera. At Hanna-Barbera, Jack worked on various projects, including Thundarr the Barbarian and Turbo Teen. Afterwards, he pursued other animation projects, notably The New Fantastic Four animated series which reunited him with Stan Lee. In his later years, Kirby began receiving recognition for his work, and in 1987, he was one of the three inaugural inductees of the Will Eisner Comic Book Hall of Fame. After his death in 1986, at 76 years young, the Jack Kirby Hall of Fame and the Jack Kirby Awards were named so in his honor. Jack Kirby is an influence on all comic book artists everywhere, whether they're conscious of it or not. 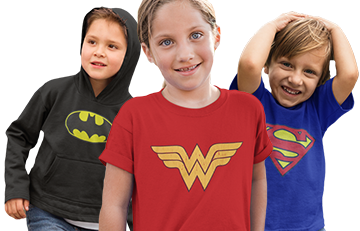 And if they're conscious of it, they'll absolutely share their love of all things Kirby. Honestly, the medium is the medium because of Jack Kirby. His creations were passionate and alive, and his constructs were otherworldly psychedelic marvels of engineering. The man drew his mind, and it was vast, and it was colorful, and it was our escape.